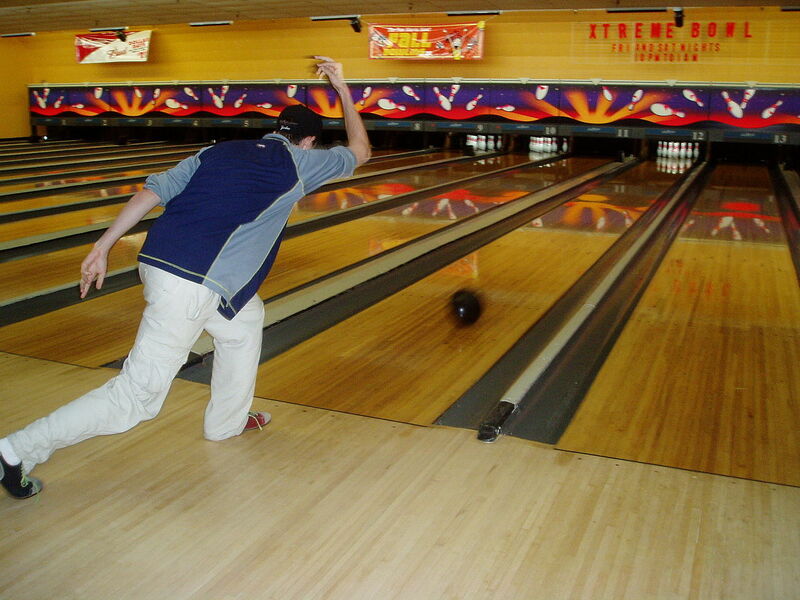 In pin bowling, the goal is to knock over pins at the end of a lane, with either two or three balls per frame allowed to knock down all pins. 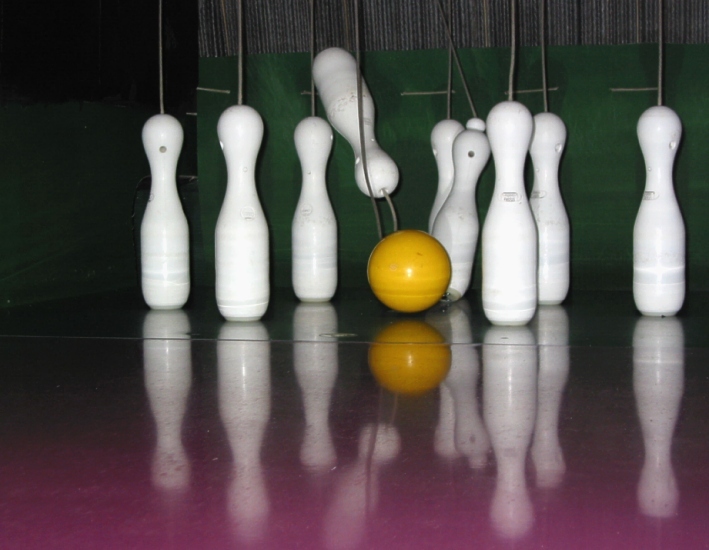 A strike is achieved when all the pins are knocked down on the first roll, and a spare is achieved all the pins are knocked over on a second roll. 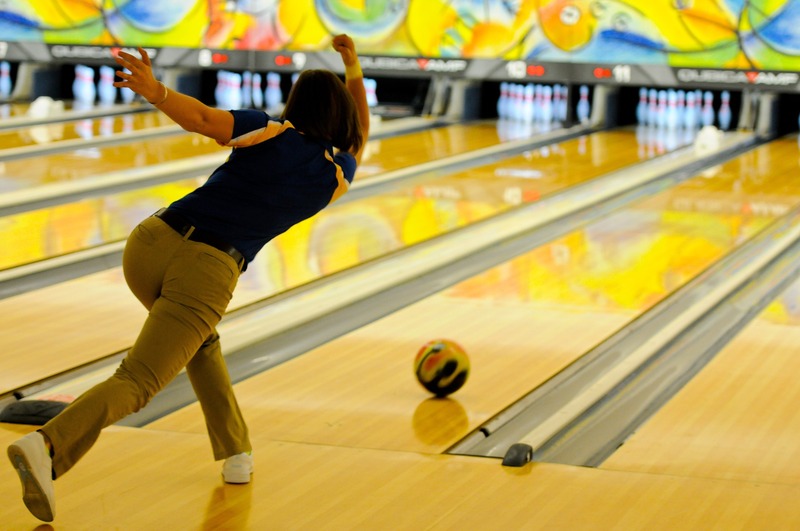 Bowling is played by 100 million people in more than 90 countries – including 70 million in the United States (Niagara Falls Bowling Association. Archived from the original on 2 January 2016. Retrieved 24 January 2016). 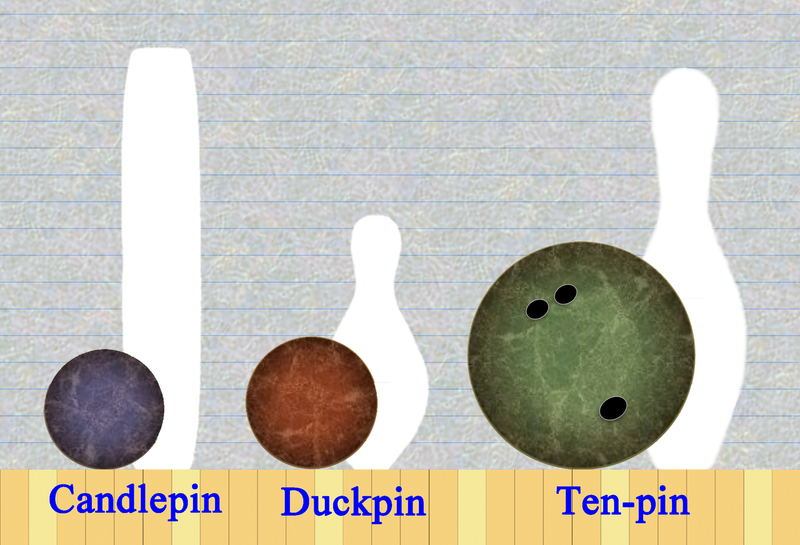 Duckpin balls are 4 3⁄4 in (12 cm) to 5 in (12.7 cm) in diameter (slightly larger than a softball), weigh 3 lb 6 oz (1.5 kg) to 3 lb 12 oz (1.7 kg) each, and lack finger holes. 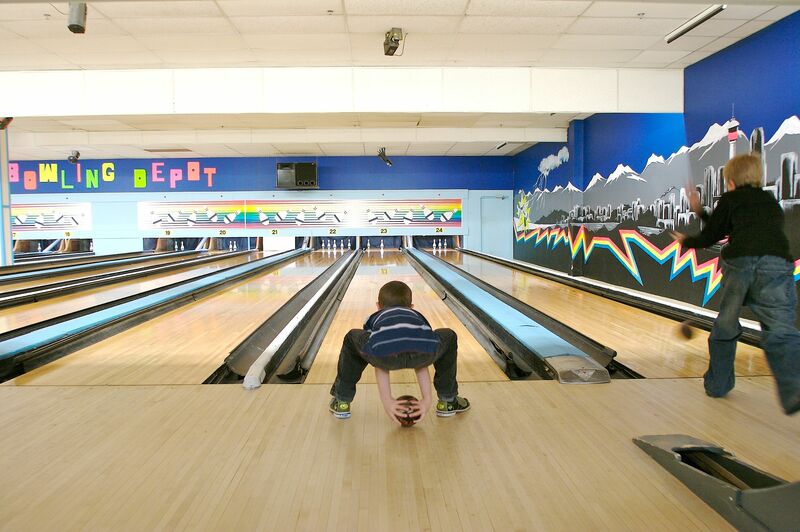 They are thus significantly smaller than those used in ten-pin bowling but are slightly larger and heavier than those used in candlepin bowling. 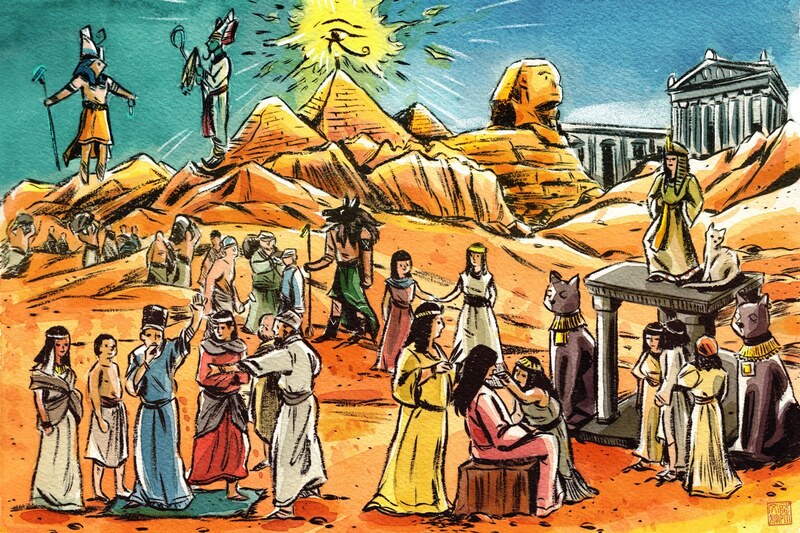 The earliest known forms of bowling date back to ancient Egypt. Remnants of balls used at the time were found among artifacts in ancient Egypt going back to the Egyptian protodynastic period in 3200 BC. 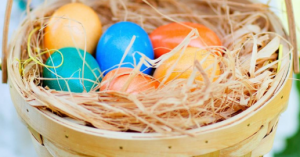 Balls were made using the husks of grains, covered in a material such as leather, and bound with string. Other balls made of porcelain have also been found, indicating that these were rolled along the ground rather than thrown due to their size and weight (Pretsell, James M. (1908). The Game of Bowls Past and Present. Oliver & Boyd. p. 1). In 1511 English King Henry VIII was an avid bowler. He banned bowling for the lower classes and imposed a levy for private lanes to limit them to the wealthy. Another English law, passed in 1541 (repealed in 1845), prohibited workers from bowling, except at Christmas, and only in their master’s home and in his presence (“History of Bowls”. Retrieved 24 January 2016). 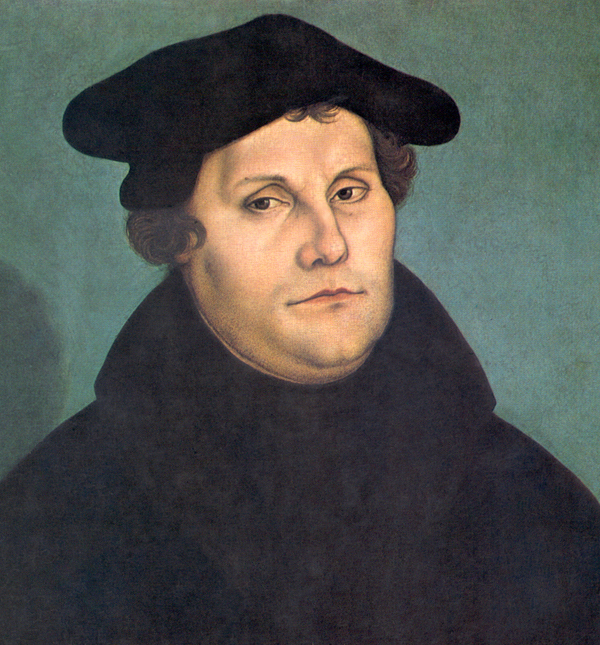 Protestant Reformation founder Martin Luther set the number of pins (which varied from 3 to 17) at nine. He had a bowling lane built next to his home for his children, sometimes rolling a ball himself (“bowling – game”. Encyclopædia Britannica. Retrieved 24 January 2016). 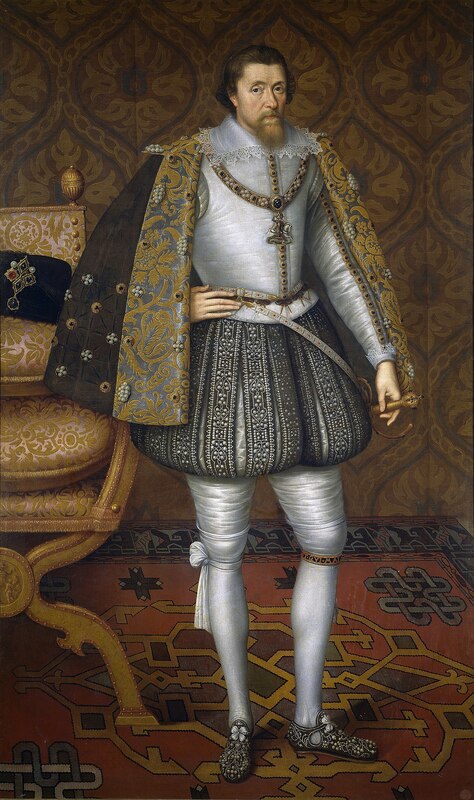 In 1511 English King Henry VIII banned bowling for the lower classes and imposed a levy for private lanes to limit them to the wealthy (King James 1 Attributed to John de Critz – Prado image; public domain). 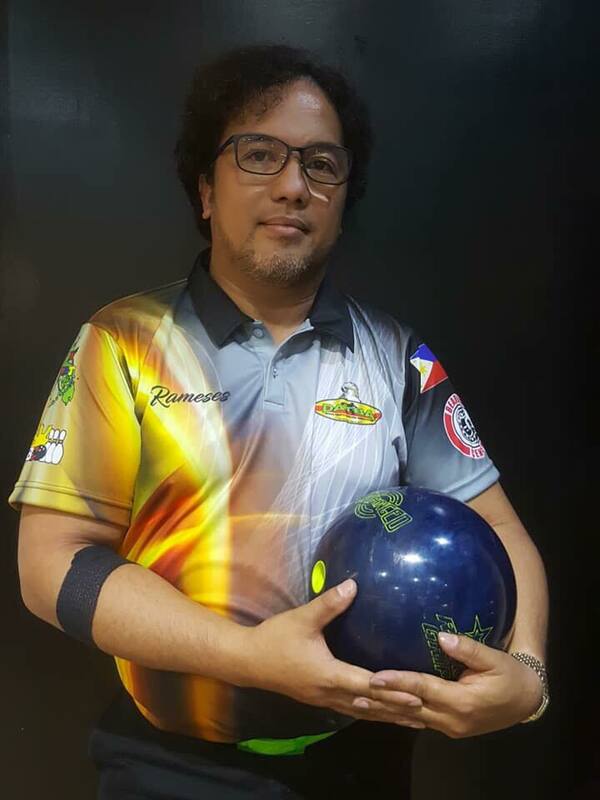 On March 31, 2019, DAVAO Tenpin Bowlers Association (Datba) president Rameses Tancontian emerged champion in the Datba monthly finals for March 2019 at the SM Lanang Premier Bowling Center.